Yet again….. tight deadlines and bad weather didn’t help. 4 blocks of 4 flats. All installed on time. We have installed a separate TV aerial to the outside of each block. this high gain aerial was providing enough signal to distribute to all 8 points without the requirement for boosters and amplifiers. 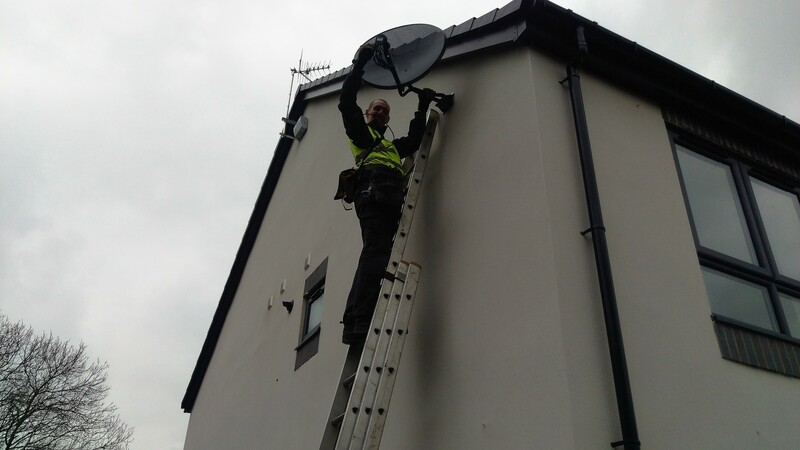 The satellite dishes were installed without a head end system. The benefits to this are that very little maintenance is required and it also keeps the running costs down to a minimum. All working on time and a very happy contractor.